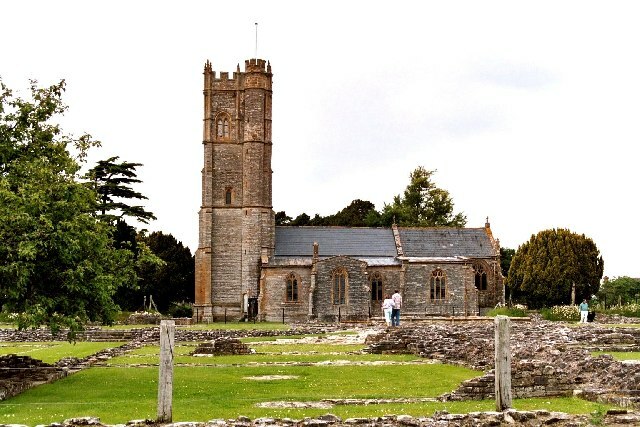 by the Abbots of the neighbouring abbey. stained galls from around 1200 AD. 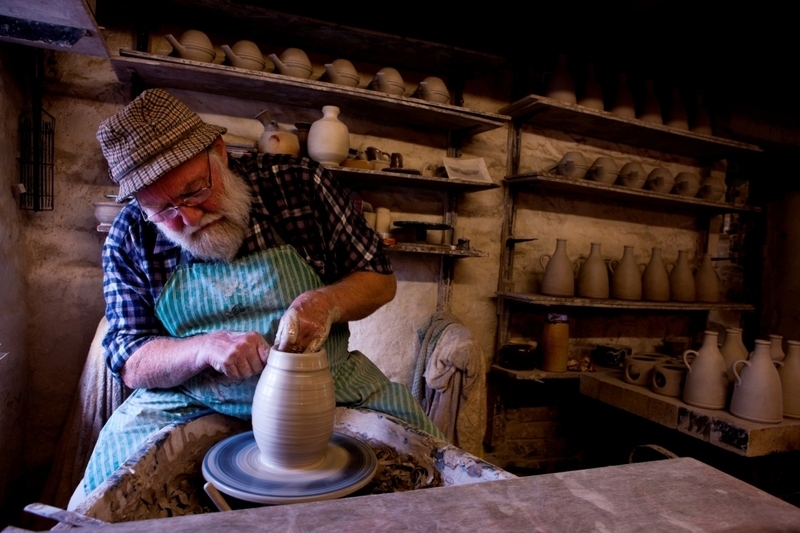 continues the family tradition in the tranquil setting of his own pottery. throwing and wood firing a range of stoneware pots. 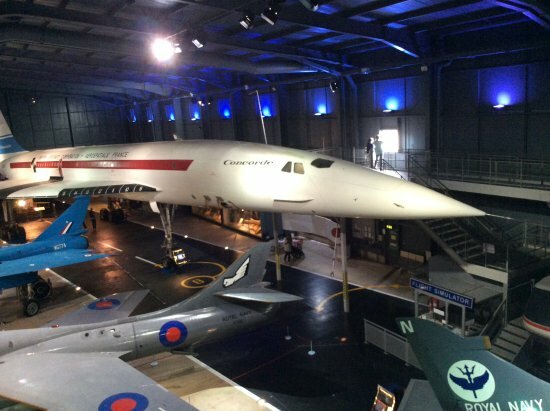 Open all year, Monday to Saturday: 9am - 1pm, 2pm – 5pm. 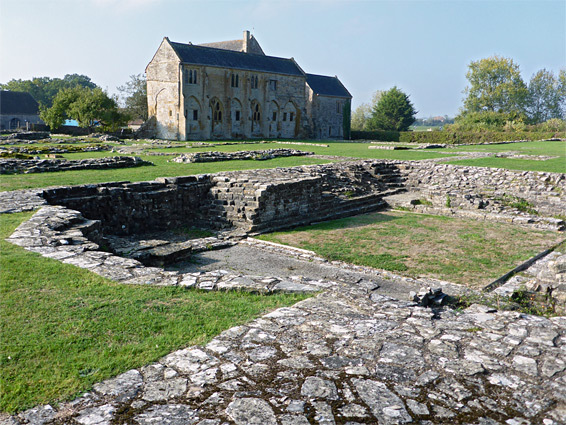 buildings were demolished by Henry VIII in 1538.
site finds are on display illustrating monastic life. Open daily 1st April to 30th Sep from 10am – 6pm and 10am to 5pm in Oct.
a single sycamore on top that looks out across the Somerset Levels. 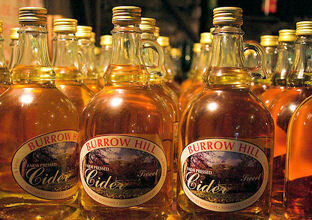 cider into Somerset Cider Brandy since 1989. Open every day except Sunday, 9am-5.30pm. glorious Bentleys and Rolls Royces to exciting super cars like the Jaguar XJ220. 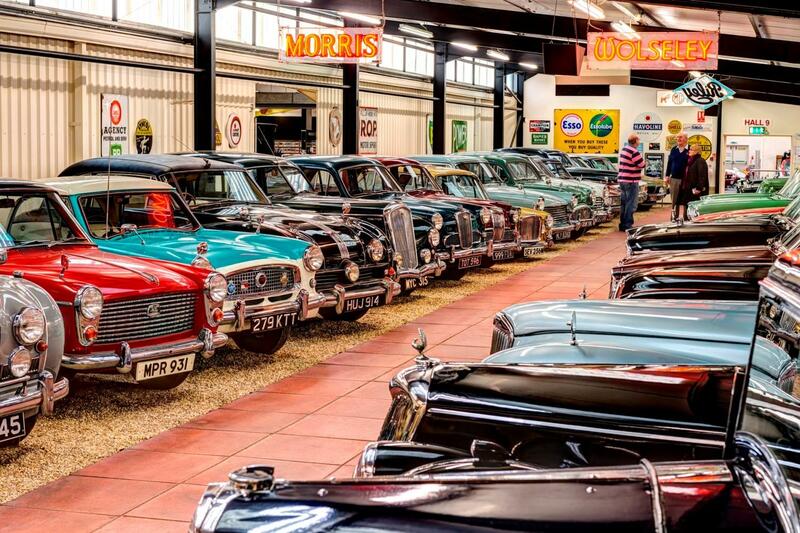 Motor Museum is a perfect outing for the whole family. visitors can watch military aircraft (especially helicopters) take off and land.